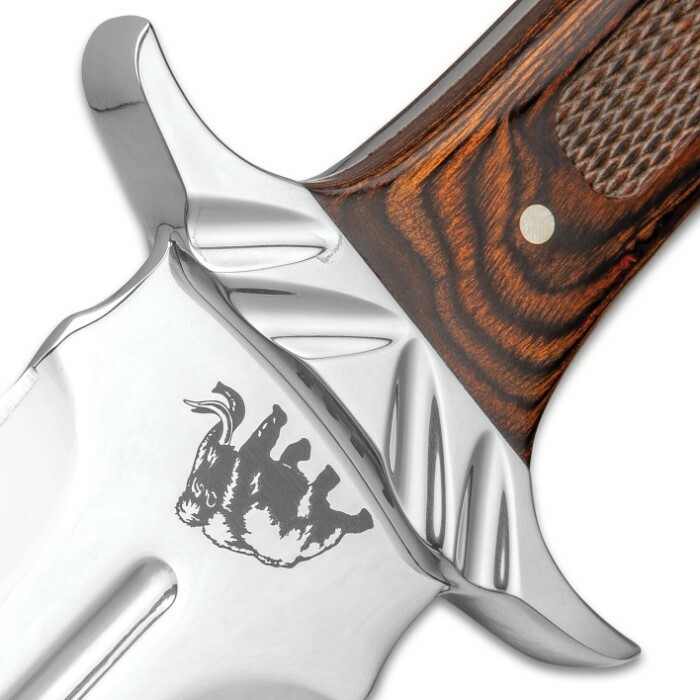 Fur Trader Toothpick Knife With Sheath - Stainless Steel Blade, Wooden Handle, Brass Pins And Lanyard Hole - Length 14 3/4” | BUDK.com - Knives & Swords At The Lowest Prices! 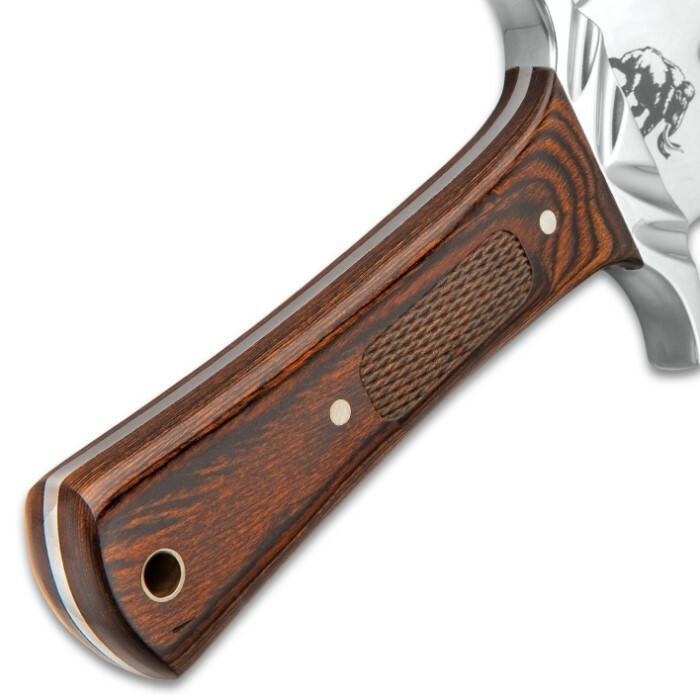 When facing the wilds of North America, back when trading posts were established by the Hudson Bay Company, a trapper needed a knife that would be a weapon and a tool. The Fur Trader Toothpick Knife would have been the knife they preferred. 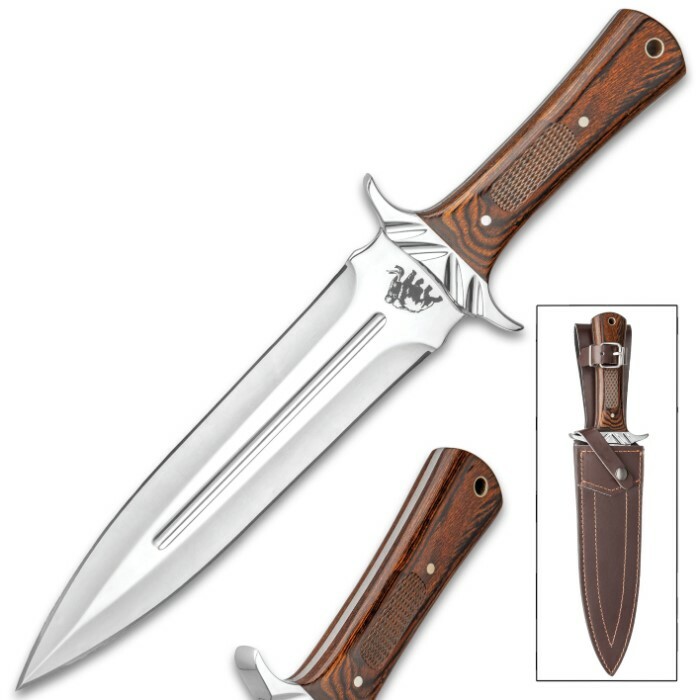 The full-tang, 6 1/4” double-edged stainless steel blade is razor-sharp and features a mirror-polished finish and blood groove. The handle scales are made of dark brown wood and are secured with brass pins and the handguard is stainless steel. 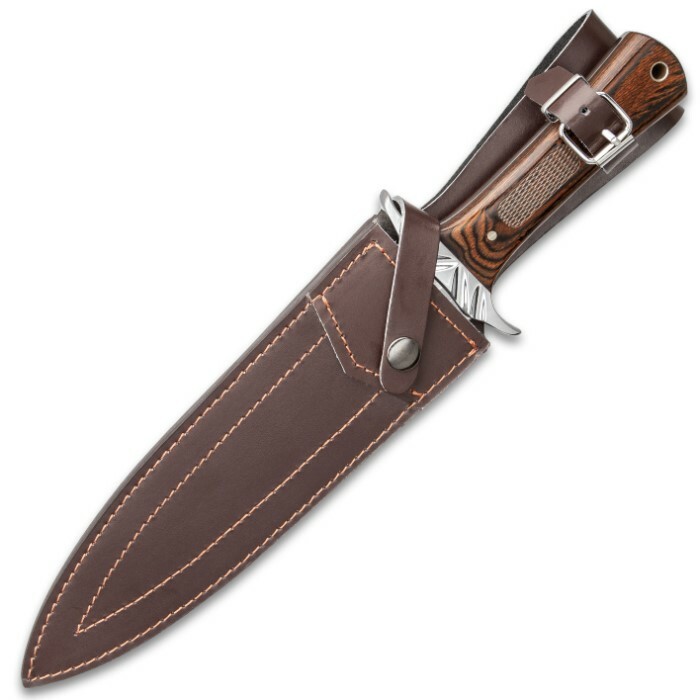 The 14 3/4” bowie knife slides securely into a premium leather belt sheath with a buckle strap and a snap closure.